Now is the time to start thinking about pruning your Crepe Myrtle! Late winter to early Spring is the best time of year to encourage new blooms, think about shaping, and get rid of dead or unsightly branches before these colorful beauties start showing off what mother nature gave them. Below are our most frequently asked questions about this dazzling tree/shrub, its colors and variations, general terminology and the dreaded "Crepe Murder." Q: Is it necessary to prune your Crepe Myrtles? A: Yes, eventually your Crepe will need to be pruned. However, this not necessarily a once yearly process. 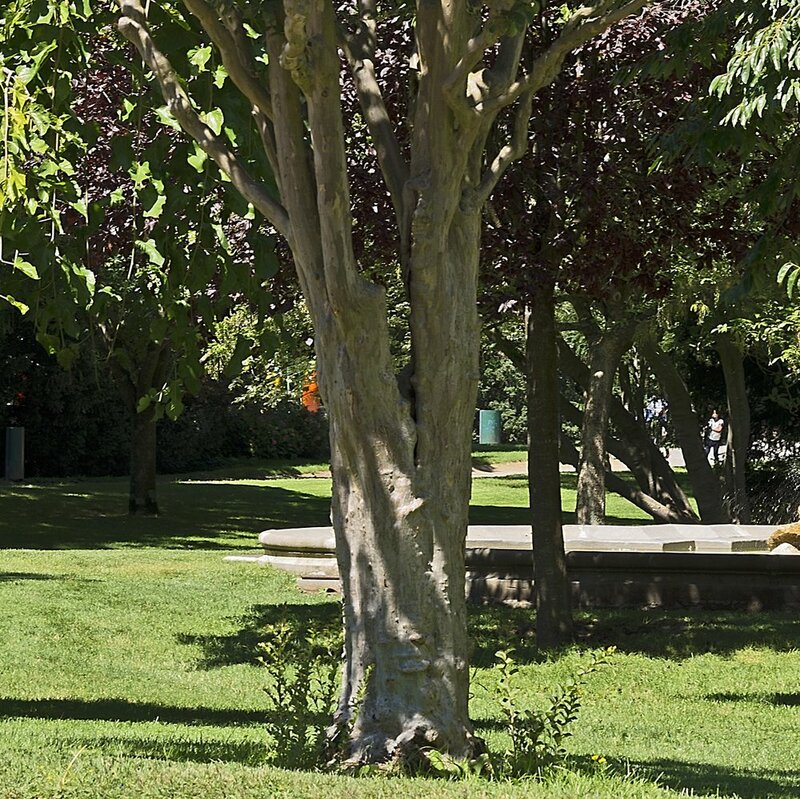 Trimming and pruning can improve bloom production and help to fine tune the desired shape of the tree, so sagging branches and structural issues may be taken care of on an as needed basis. The form and bark of a Crepe Myrtle are quite exceptional, especially in Winter when the leaves and blooms have fallen to the ground. These bare branches should generally shoot up to the sky, but if you’re noticing different angles, it may be time to prune. After some selective and clean cuts, your tree should be looking more vase-like in shape. Remember, only you should be able to tell you’ve pruned these trees- no obvious cuts or knuckling allowed. This tree is still in its early stages. Pruning for shape should start soon if desired. A tree with this large of a trunk would require the shoots to be cut off, but most smaller trees can afford the addition of these newer sprouts. Q: Is it Crepe or Crape? A: Crape comes from its scientific name, Lagerstroemia crape myrtle, but here in the South we tend to spell it after its resemblance to crepe paper. While gardening texts will usually spell it with the “a,” the true french origin of the word does not. Neither spelling is right or wrong (we prefer Crepe, but potato/potatoe), though if spelling the word, you might take into account the audience. This is still a highly debated topic for horticulturists and journalists alike. Your local nursery may not care, but any scholar or master gardener will certainly have their own opinions. Q: My tree is shooting up sprouts at the base. What do I do? A: You can cut them off, or let them continue to grow. If cutting, make sure you make a clean cut ideally in late Winter/early Spring. If you leave them alone, you can train them to become new trunks. Just be sure to cut any surrounding shoots that pop up in the coming years to make sure it grows nice and strong. Q: What is “Crepe Murder”? A: The term refers to the topping of Crepe Myrtles. It basically means that someone has come in and cut much more of the tops (and most branches) off of the trees than is necessary or recommended. Generally this results in oddly formed knobs. When the shoots come back in the Spring and Summer there is often bark discoloration when comparing the old and new bark. This is especially noticeable on Queens Crepes whose newer bark is a deep red. More importantly, many people still practice this method of pruning because it results in larger, albeit fewer, flowers. Beware: these larger blooms are created from new and smaller, weaker branches. The new tips begin to sag dramatically in the full heat of the Texas sun with the weight of such large flowers - another reason we don't recommend this common mistake. These cuts are not angled correctly, and the new growth will sag in the Summer. You can see the "knuckles/knobs" very well in this picture. Q: My significant other has committed Crepe Murder. Is there anything that can be done? A: Hey, it happens more often than you'd think. Give us a call and/or send us a picture. We can give you a general timeline and care instructions to help get your tree back on the road to recovery or we may need to come out to do some additional trimming to help the process along. So don't worry. There is hope, though we may not be able to say the same for your significant other…. Q: What colors and kinds of Crepe Myrtles are available? **Indica Crepe Myrtles come in many colors and are typically single stem trees. They perfect for the Texas climate due to its resistance to mildews and other pathogens. 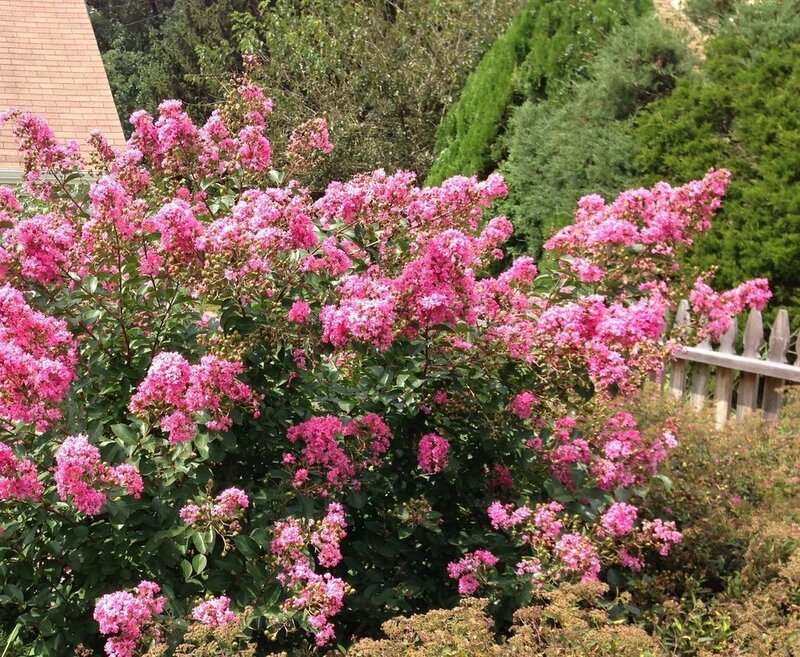 **Queen’s Crepe Myrtles can be much larger and more extravagant (usually multi-stem broader trees/shrubs) than Indica varieties, requiring just a little more care and more regular pruning. They are not as hardy as the Indica, but still make a wonderful addition if taken care of properly. Q: My Crepe Myrtles are not blooming like they used to, but our neighbors’ Crepes seem to be thriving. What is happening? A: Most of the time, all you need to do is lightly prune some of the ends to spur new growth (and therefore new blooms). This is especially true if your tree is much older than your neighbors and you rarely make any substantial cuts. Poor drainage, insects/disease, and too much nitrogen can also be contributing factors. Q: What is growing all over my Crepe Myrtle? A: If it looks like the pictures below, it is Lichen. Lichen is an algae/fungus symbiote that is relatively harmless to your Crepe Myrtle. We tend to think they look interesting, and by summer they should fall off when the tree sheds its bark. 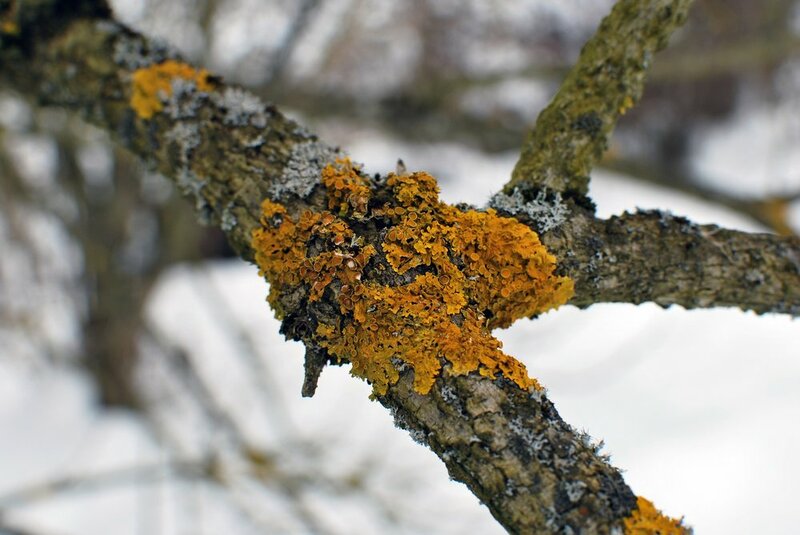 There are ways to get rid of the Lichen if you find them aesthetically displeasing, but there is no other cause for alarm if you see these popping up all over your bark. Lichen are not specific to Crepe Myrtles, so you may also see these growing on your other trees as well. Other disease processes like scale, leaf fungus and mildews are also known to occur (this is more frequent in Queens varieties, as opposed to the more resistant Indica Crepe Myrtles) and can be much more serious. Because of the nature of these pathogens and disease processes, a visit with an arborist or tree service professional is always recommended.